How much are you willing to pay to hire a polytechnic graduate? 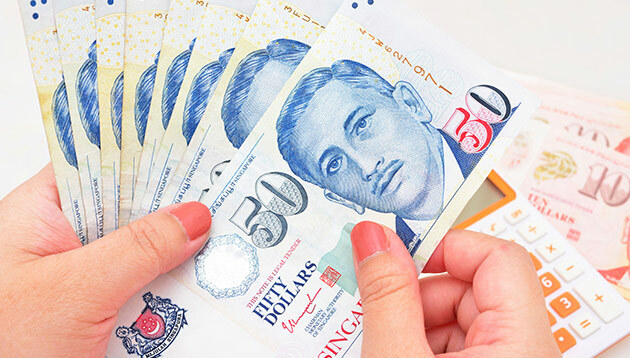 According to the latest polytechnic Graduate Employment Survey (GES), graduates across the five polytechnics in Singapore who were in full-time permanent employment earned an overall median gross monthly salary of S$2,235 in 2017 – comparable to the $2,200 they earned in 2016. With a median gross monthly salary of S$2,500, graduates who were in the health sciences courses were found to earn the most in 2017 – similar to the S$2,450 they took home in 2016. The next highest earners were found to come from the built environment, engineering & maritime course category, taking home a median gross monthly salary of S$2,300 in 2017 – same as in 2016. Jointly conducted by the five polytechnics in 2017, the GES also found that polytechnic graduates continue to be in demand in the job market. 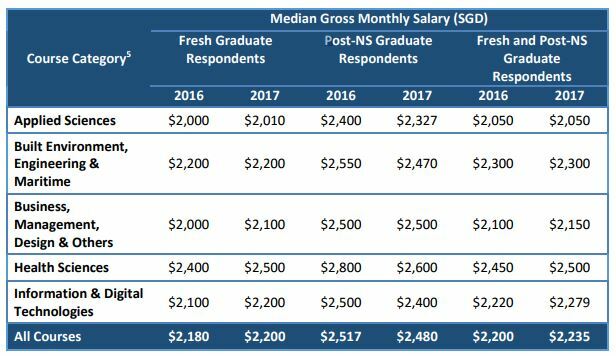 Of the 15,173 fresh graduates and post-NS graduates surveyed, 87.3% were found to be employed six months after graduation – 86.4% for fresh graduates, and 89.8% for post-NS graduates. Although this was a decline from 2016, the report noted that the employment rate remains healthy and the decline was partly due to year-on-year changes in labour market and economic conditions, and preferences of students upon graduation. Among the 86.4% of fresh who had found employment, 52.8% secured full-time permanent employment, while 30.9% were on part-time/temporary employment, and 2.8% of fresh graduates in the labour force were working on a freelance basis. The survey further revealed that the majority (25.1%) who were on part-time/temporary employment were doing so because they were pursuing or preparing to commence further studies, while only 5.7% were in part-time/temporary employment as were unable to find a full-time permanent job. 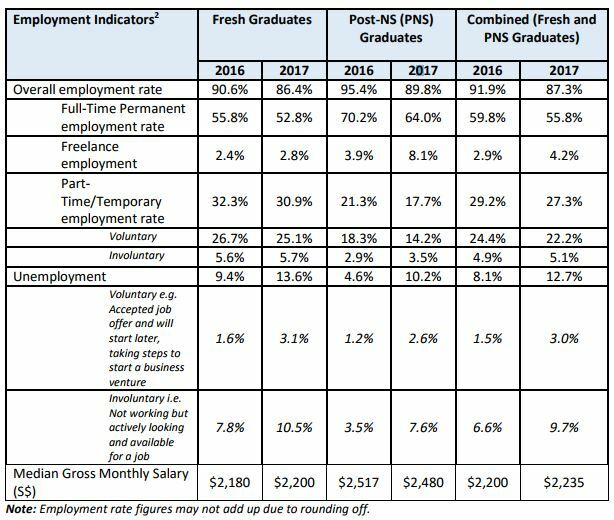 When it comes to post-NS graduates, of the 89.8% who had found employment, 64.0% secured full-time permanent employment, while 17.7% were on part-time/temporary employment, and 8.1% were working on a freelance basis. Similar to fresh graduates, the majority of post-NS graduates (14.2%) had chosen to take up part-time/temporary employment because they were pursuing or preparing to commence further studies. Sharing the Committee’s observations over the years, a spokesperson from the 2017 GES Committee said, “We are seeing more polytechnic graduates choosing not to look for a job and instead, pursue further studies. In 2017, 64.8% of fresh graduate respondents were in the labour force. This is a drop of more than 10% from 2008. Despite more than two thirds of Filipino graduates believing their very first job is the most important one they will ever hold, a.. In this exclusive, we speak to experts from NatSteel, Publicis, and more to find out why written notes still rule, chocolates are ..